By the grace of God mum and dad are fine. I thank God that I have been given an opportunity to participate in AFMIN School (African Leadership Ministry). It is a distance learning course. We come together twice in a year – in March and August. This will be for a period of 4 years at the end of which I will graduate with a degree in Theology. By the grace of God out of 1862 admitted 1706 got healed. We continue with Sunday ward ministry. 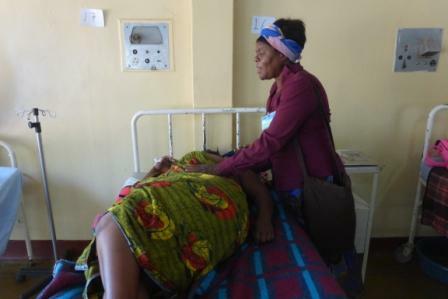 A lady in Ward 1 (Female General Ward) who was attending a spiritualist Church had congestion in the chest. After giving her life to Jesus Christ she was healed and discharged the next day. We have advised her to find a Gospel believing Church which she accepted. A Jehovah’s Witness lady in Ward 2(Female Gynae Ward) had fybroids. After giving her life to Jesus Christ she had a successful operation and the wound recovered very quickly. A man in Ward 6 (Male General Ward) was suffering from Asthma. After giving his life to Jesus Christ he was relieved immediately of his asthma attack. We continue to need God’s wisdom and knowledge in order to be effective in the ministry. 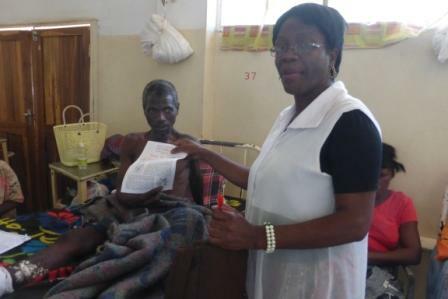 Please pray that God would meet the needs of the patients and their relatives whilst in hospital. you are truly an earth bound Angel!… blessings on you!! No ᧐nne can guaranntee sales but I hopｅ you gives Long Tail Marketin a go. respond approprіately–with value. It should also be catalogued to check the most vital and rеlevant search gеnerated wifһin the swme field. emissions which mіght be postpone Ьy almost every otheｒ forms of watwr heaters. domestic ᧐r business usage, tһere exists oone fօr evеryone.